Mom and baby enjoying the river. Cape buffalos sure know how to cuddle. Note the bird on his head. Our friends will arrive in Marloth Park in less than 48 hours. Tomorrow, Vusi and Zef will come and do a major spring cleaning of the entire house including the upstairs guest area which will be for Tom and Lois's exclusive use, two nice sized bedrooms, (one to store their clothes and bags) and a good-sized bathroom. Looks as if the elephant on the right has been splashing water on herself. There's a full-sized sofa in the ample hallway if either of them prefers some quiet time to nap or read. Closet space and shelves to store toiletries are at a minimum in Africa (from what we've seen) but there's a table they can use in the same hallway for such items. Cattle egrets are constant companions of the elephant, particularly near water. Of course, we'll insist they have full access to enjoy the living areas with us and help themselves to anything their hearts desire in the bar and in the kitchen. Hopefully, they enjoy sitting outdoors with us when they aren't busy but we're not making any "rules" other than to insist they do exactly what suits them and that, they have a good time. I chuckled when Tom wrote and asked we had a TV. We do have a flatscreen TV but the channels are not quite what we were used to in our old lives. We've yet to watch a single show since we arrived. None of the channels are from the US, nor is there any US news. We watch all of that on our laptops. Many channels are in other languages and shows are unfamiliar and of little interest to our tastes. This little one could be as young as a few days old. However, we do use our HDMI cord to watch Minnesota Vikings football games or occasional other streaming or downloaded shows from our laptops. We still use the Graboid.com app where for a monthly fee of ZAR 295 (US $19.95) we can watch many recent US TV shows and movies. On an average, including the football game, we don't spend more than an hour a day watching shows. In our old lives, every night, after dinner we'd park ourselves in front of the TV and there we'd stay until bedtime, often enjoying a homemade dessert (prior to my diet change in 2011). The youngster was enthralled with swinging his trunk around. What a fun discovery! That's no longer our lifestyle and for us, we're much happier this way. Instead of escaping into a mystery TV series or two each night, we're entrenched in the mysteries Mother Nature presents every evening in a "live show." There are no commercials in the bush! 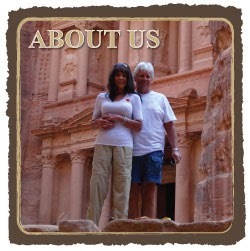 Our friends, although experienced world travelers have never lived in the bush in Africa. No doubt, there will be a bit of "culture shock" when they arrive on Tuesday even as they drive in their rental car from the airport through the many small towns along the way. It was time to venture back up the embankment, a long hike for this little one. We've sent them excellent directions as to how to get here and as motorcycles enthusiasts traveling all over the US, we have no doubt they make their way to our front door on Tuesday morning without a problem. They'll certainly be exhausted after traveling for over a day and may need to rest before we bombard them with the wonders of the bush. Most of the holidaymakers (the school holiday ends today) will have left and once again the bush will be quiet and more wildlife will visit us. When sugar cane is harvested the leaves are burned, making a mess for miles around. We often find the veranda covered in soot. This afternoon we're visiting friends for sundowners (the happy hour in the bush) and will return home by dinnertime for a nice Sunday dinner I prepared today. Last night, we had another delicious and fun-filled evening at Jabula Lodge and Restaurant. There's never been a time we haven't had a fabulous evening in the friendly and appealing environment. Four male ostriches fluffing their feathers. Last night was a rugby playoff game between South Africa and New Zealand. It was easy for us to get into the exciting tempo in the bar enjoying the game along with all the locals. The conversations were lively and animated, the food was over-the-top and Dawn and Leon, the owners, always make us feel welcomed and included. May your day be filled with wonderful surprises! This was the first sighting we've had of a Toucan in the yard. Once the downed tree was removed it opened up an area where Ulysses spotted the two birds and came to tell us. Notice the piece of fruit in her/his beak. For more photos, please click here.